Does salamander hold key to regrowing human body parts? 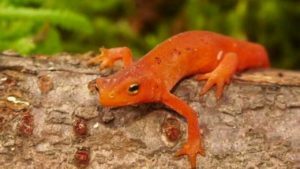 Scientists who assembled the genome of a salamander renowned for its ability to regenerate body parts say the achievement could be an important step toward finding ways to regrow human body parts. “It’s hard to find a body part they can’t regenerate: the limbs, the tail, the spinal cord, the eye, and in some species, the lens, even half of their brain has been shown to regenerate,” said study co-lead author Randal Voss. He’s a professor at the University of Kentucky Spinal Cord and Brain Injury Research Center. While humans and the axolotl share many genes, the salamander’s genome is 10 times larger, posing a major hurdle for genetic study. By adapting an approach called linkage mapping, Voss and Smith were able to assemble the axolotl genome quickly and efficiently, according to the study. It’s the first genome this large to be assembled. “Biomedical research is increasingly becoming a genetically driven enterprise,” Voss said in a university news release. He added that researchers need to be able to study gene functions in other organisms in order to understand human disease. “Now that we have access to genomic information, we can really start to probe axolotl gene functions and learn how they are able to regenerate body parts,” Voss said. “Hopefully someday we can translate this information to human therapy, with potential applications for spinal cord injury, stroke, joint repair … the sky’s the limit, really,” he said.